Karl Friedrich Benz was a German engineer and entrepreneur who designed and developed the world’s first automobile powered by an internal combustion engine. Karl and his wife Bertha were the founding members of the Mercedez-Benz company. Benz was born into a poor family in 1844. His father died when he was two years old, and his mother strove to provide him with the best education that she could afford. Benz was an exemplary student in school. He then enrolled at the Poly-Technical University and later studied mechanical engineering at the University of Karlsruhe, graduating at the age of 19 in 1864. Benz was fond of riding his bicycle, and dreamt about making a fully mechanized automobile, or “the horseless carriage”. He worked in a number of engineering jobs but found none that satisfied him. He settled in Mannheim, where he established an iron foundry and sheet metal workshop with his partner August Ritter. The business ran into difficulties but was saved by his fiancé Bertha who bought out Ritter’s share. Karl and Bertha were married in 1872 and had five children. Karl began to develop various parts of the vehicle he had envisioned, including ignition, spark plugs, gear, carburetor, water radiator, and clutch. He assembled it in the first fully powered gas car with two seats for a driver and a passenger. It was finished on New Years’ Eve in 1885 and a patent for a two stroke engine was granted to him in January 1886. His invention was marvelous but the problem lay in demonstrating its utility to the world. Such a thing had never existed before and people saw no use for it, neither did they find it practical. This situation was deftly tackled by Bertha; in 1888, she drove the car to her mother’s house in Pforzheim, traveling a distance of 106 kilometers. This was done without the knowledge of her husband and she only informed him of her safe arrival via telegram when she had reached. This was the first long distance trip ever attempted and it changed public opinion about the safety and practicality of this means of transport. An antique car race is now held every two years along the stretch of road that she traveled to commemorate the drive undertaken there by Bertha. Karl set about to improve the features of the car, adding brake linings and an extra gear for driving over slopes. Sales began to take off, and his cars received tremendous publicity and appreciation at the 1889 World Fair in Paris. Demand soared and production facilities were expanded accordingly. The number of employees grew from 50 in 1889 to 430 in 1899. Karl and Bertha launched a series of companies to in the early 1900s, and maintained their position as the leading automobile producers in Europe. By the 1920s, however, there was intense competition between Benz and Daimler – the makers of the Mercedes engine. Production costs were rising due to inflation and sales were tapering for both companies. In 1924, the two companies signed an “Agreement of Mutual Interest” which led to combined production, marketing, purchasing and advertising efforts but each company still maintained its own brand name. Eventually in 1926, the two companies merged into Daimler-Benz, and started producing Mercedes-Benz cars as we know them today. Karl Benz became a board member of the newly founded company and remained so for the remainder of his life. The merger proved fruitful as sales tripled in 1927. The company also launched its diesel trucks line in the same year. 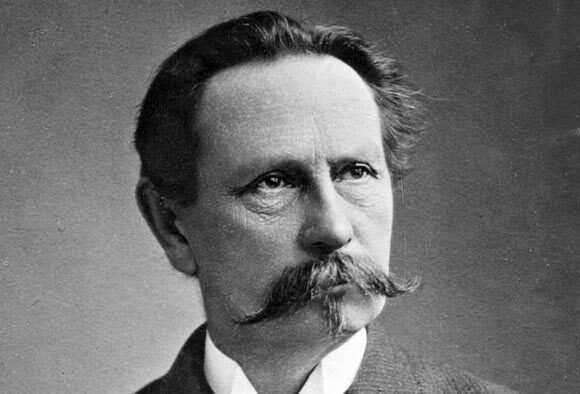 Karl Benz died at the age of 84 on April 4, 1929 at his home in Ladenburg, where Bertha continued to reside until her death at the age of 95 in 1944.